Providing you the best range of automatic cement brick machine and automatic concrete hollow block plant with effective & timely delivery. We are the Leading Manufacturer and supplier of wide range of Automatic Cement Brick Machine manufacturer. Automatic Concrete Hollow Block Plantoffered are made available in compliance with defined industry standards and is based on advanced process technology as well as use of premium components that make these match up to the process needs of the customers. We make these machines available with wheel support that allows their easy movement after laying of block on concrete floor to next laying space. 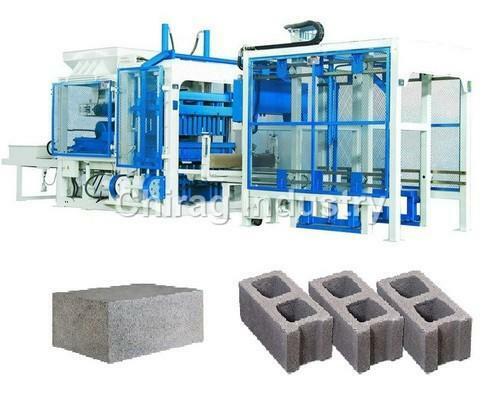 Looking for “Cement Block Making Machine”?